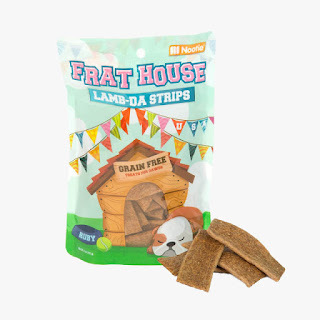 We are affiliates of BarkBox. What this means: Sign up your pup today to get a FREE Extra BarkBox! For a limited time, subscribe to a 6- or 12-month plan and we'll add an additional month, on us! if you're a dog, there's nothing better than BarkBox–a monthly delivery of toys, treats, and everything that makes tails wag. If you're a human, what's better than FREE? 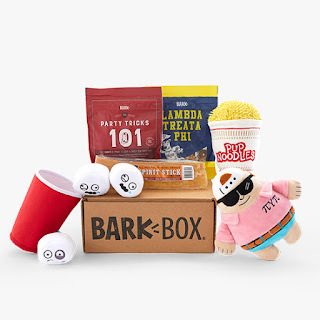 Use promo code “RUCKUSESKIE” to save $15 on BarkBox.com We are affiliates of BarkBox. BARKBOX: http://barkbox.evyy.net/c/71887/44431/1369 BARKSHOP: http://barkshop.evyy.net/c/71887/195456/3394 Thank you so much for watching! Please make sure to LIKE and SHARE this video and subscribe to my channel here for new videos: https://www.youtube.com/user/ruckustheeskie OTHER BARKBOX REVIEWS: http://www.ruckustheeskie.com/p/barkbox.html ----------------------------------------­­­--------------- DOG & LIFESTYLE BLOG → http://www.ruckustheeskie.com ♥INSTAGRAM → http://instagram.com/ruckustheeskie ♥TWITTER → https://twitter.com/ruckustheeskie ♥FACEBOOK →https://www.facebook.com/RuckusTheEskie ♥PINTEREST → https://www.pinterest.com/ruckustheeskie ♡ ♡ ♡ ♡ ♡ ♡ ♡ ♡ ♡ ♡ ♡ This video may contain affiliate links. We purchase most of the products for the posts ourselves however sometimes we have the opportunity to test and review brand products. Ruckus the Eskie will only share products we trust. You meet all kinds of people at college, but Rad Chad is something special. Fluff-filled with a giggle stick core, he is always down for a good time, bro. At a certain point though, even Chad will forget why he's laughing. Funny little noodles are exploding out of this toy, making it perfect to tear and toss. 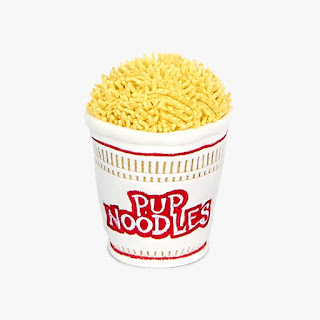 Hidden inside is our popular spiky ball core, which is like a bonus toy when your pup rips through the noodles' exterior. 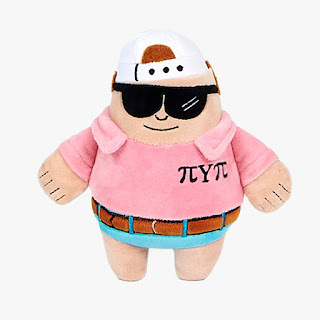 We legally can't say that this toy has more nutrition than real thing, but, well… it definitely has less sodium. Listed above, I would say Ruckus's favorite item would be the Beer Pong. 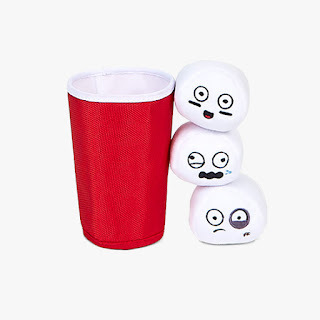 The little ping pong balls sure have little squeakers in them as the scrunching cup engages in hours of fun. This post contains sponsored links from BarkBox and BarkShop but ruckustheeskie.com only shares information we feel is relevant to our readers.